The 600 SCi was the first Mercury Racing sterndrive engine package certified for sale in the European Union (EU). 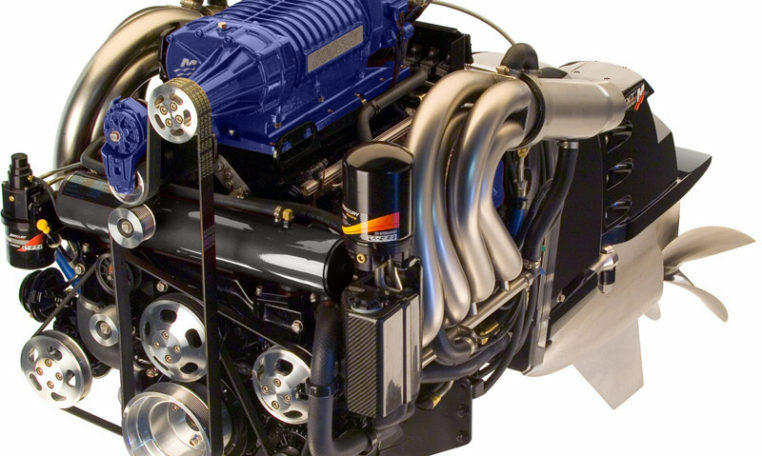 The popular engine, packed with Mercury Racing exclusive components, meets the emissions requirements as set forth in the EU Recreational Craft Directive (RCD) 94/25/EC amended by 2003/44/EC. The engine also meets requirements of the Electromagnetic Compatibility Directive 89/336/EC. The certification expands the availability of the 600 SCi sterndrive engine package to all countries that fall under the EU’s RCD. The 600 SCi engine continues Mercury Racing’s heritage of producing engines packed with state-of-the-art technology that delight customers with outstanding performance. “Cool collar” Sweeper Headers feature a new alloy for enhanced saltwater corrosion resistance and durability. The intercooler is made of copper-nickel alloy called “CuproNickel” for excellent corrosion resistance. Lysholm 3.3 Liter screw type supercharger featuring Mercury Racing’s front drive housing. Features active torque management via PCM’s electronic boost bypass control valve. Available in an array of custom colour options in addition to the standard Mercury Racing blue metallic.